In an era of yearly product cycles from many OEMs, it’s refreshing when a major player breaks stride and extends that time frame. One such example is Ping Golf. 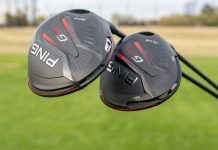 The engineering-first company released the G400 driver and woods line in July of 2017, and now 18 months later is back with the launch of the Ping G410 driver and woods. While a year and a half isn’t much longer than the new “normal,” it confirms Ping still does things its own way by releasing clubs with significant advancements, and nothing else. No slight on Ping, but competitors have offered moveable weighting technology for the past few years, while Ping has relied on different heads (Standard, LST (Low Spin Technology) and SFT (Straight Flight Technology)) to get the job done. That’s not necessarily a bad thing. 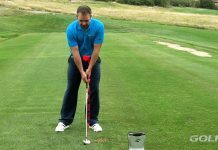 Moveable weights shift GC and ball flight bias just slightly, and can add unwanted overall weight into the head. 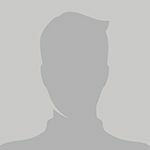 In the eyes of the consumer, though, the absence of this technology can make other offerings seem more advanced and often win out. With G410, Ping has joined the moveable weight revolution – and done so with a statement. 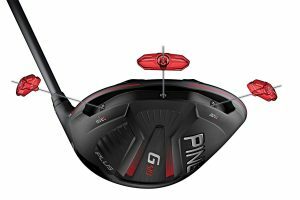 Of the two models offered – G410 Plus and G410 SFT – only the G410 Plus embodies Ping’s new moveable weight capability, while the SFT employs Ping’s most extreme draw setting in a driver to date. Both models provide enhancements to optimize desired ball flight more than any Ping drivers of the past. 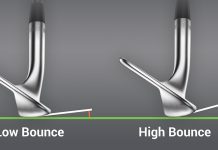 An exaggerated illustration of the deep GC placement in the Ping G400 head which increases MOI and forgiveness across the face. Ping woods are known for having high MOI. 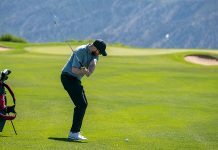 That basically means the center of gravity is positioned farther toward the back of the clubhead compared to many competitors, so Ping drivers maintain more ball speed and consistency (forgiveness) on mishits. With the G410 Plus, a removable 16-gram weight that can be set in a neutral, draw or fade position adds a new level of customization to an MOI monster. Ping says each position affects CG by one-tenth of an inch, which doesn’t sound like a lot but equates to roughly 10 yards of dispersion on an identical strike. In total, that’s 20 yards of dispersion between the draw and fade settings, which is perhaps the most aggressive of any driver on the market today. A removable tungsten plug embedded into the outermost perimeter of the head, where the sole and crown intersect, helps to create the extreme ball flight bias capability of the Ping G410 Plus. 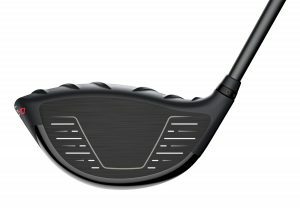 This design not only enhances draw and fade influence because CG is maxed toward the clubhead’s edges, but it also increases G410’s overall MOI versus G400 when in the neutral setting. 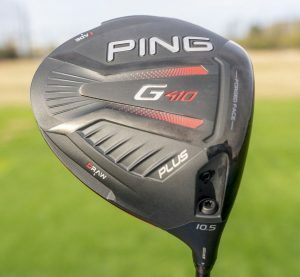 Ping says the G410 Plus excels where other drivers fail because weight placement is truly optimized, as opposed to getting only part of the way there. For these reasons the Ping G410 Plus will get the lion’s share of attention in the G410 line. 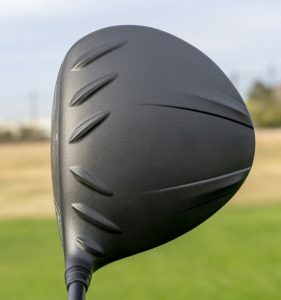 But slicers may get the biggest treat of anyone with the G410 SFT driver, because it’s even more draw biased than the draw setting on the Plus, due to placing CG more aggressively on the heel-side. To put this into further context, Ping says the G410 SFT’s draw influence is 50 percent greater than its predecessor’s. Rightly so, the headlining story with the Ping G410 line is adjustability in the drivers. With easier-to-launch characteristics and more forgiveness than the G400 line, however, the Ping G410 fairway woods shouldn’t be forgotten. Especially for those that struggle to get the ball in the air or prefer a 3-wood from the tee. 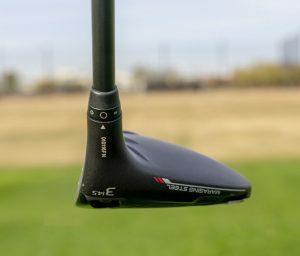 The G410 fairway woods’ improvements center around a shallower, forged maraging steel face, a lower, more forward GC location and a new Turbulator design that further helps aerodynamics. 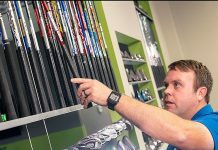 The combined result is clubs that launch higher with more ball speed, spin less (Ping says the G410 LST 3-wood cuts 500 rpm of spin compared to the G400 LST 3-wood) and have greater overall forgiveness. Demo and purchase the new Ping G410 driver and woods at GOLFTEC! After hitting a 9 degree Ping G410 driver and 14.5 degree G410 LST 3-wood on the golf course, my feedback about Ping’s latest line of drivers and fairway woods isn’t anything earth-shattering. It would be hard to elicit that kind of reaction, though, because there’s nothing broken with G400. The Ping G400 woods are about as good as it gets, and if both lines were optimized perfectly for your swing, both would perform very well. Optimization, however, is where it’s at with G410. It’s now easier to fully fit the driver to you, which makes this line superior to G400 for that reason alone. 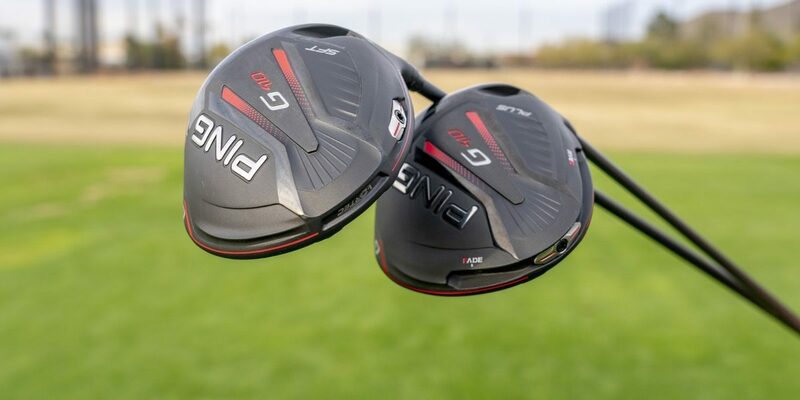 That point aside, I did notice one obvious difference between the G410 driver and G400 driver at impact: G410 elicits a MUCH higher-pitched, metallic “ting” than G400. 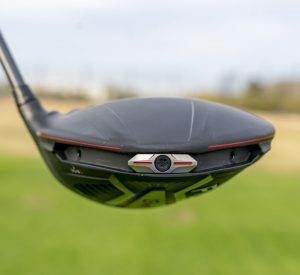 This is likely due to G410’s new forged T9S+ face – a thinner and hotter face than G400’s – working in combination with new Dragonfly technology and a thinner, lighter crown. Looks: The biggest difference with G410 compared to G400 is a more aggressive Turbulator design at the front of the head, and reworked pattern at the back (driver only). Apart from a few other minor shaping differences across the line, the overall appearance of G410 is very similar to G400. 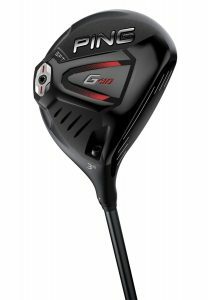 Feel: The sound and feel of the Ping G410 driver are significant departures from the solid, lower-pitched “thwack” of the G400 driver. I prefer the G400 in this regard, but the G410 does sound and feel powerful. It should please the ear of those that like a higher-pitched, metallic-sounding hit at impact. 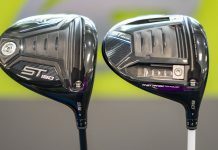 When it comes to the G410 fairway woods, while they employ a maraging steel face instead of the T9S+ face in the driver, sound and feel are surprisingly similar with each. Oddly, while I wasn’t a huge fan of the driver’s feel, I loved the 3-wood. It sounded and felt solid and consistent, regardless of where I hit it on the face. Performance: Considering the high expense of clubs today and aggressive marketing that begs to antiquate your year-old driver, this is always a touchy subject. 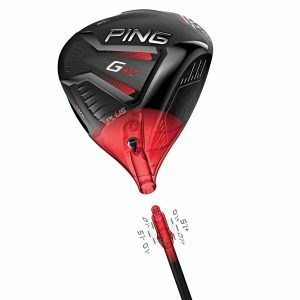 Take that into account when I say the Ping G410 driver and woods, like G400, perform as you’d expect a Ping golf club to perform: consistent, easy to hit and really good overall. The increased customization in G410, though, is an real story and big time add to Ping’s fold. To reiterate the previous paragraph, this doesn’t mean your G400, Rogue or M2 are ready for auction quite yet. Virtually every high-end driver of the past few years performs great, and the Ping G410 driver and woods are no exception. 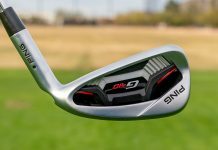 The bottom line is G410 replaces an already high-performing line of woods with small improvements to speed and forgiveness, and a major improvement in customization. So, if you’re in the market for a new driver and open to looking past A.I. 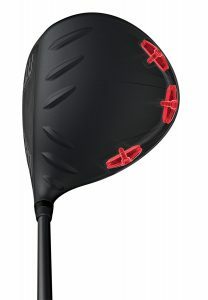 and Speed Injection, you may want to give the Ping G410 driver and woods a shot. That’s all the engineers at Ping want, after all, because once that happens they’re confident G410 will win over anything else out there. Three positions (Draw, Neutral, Fade) for the 16-gram tungsten back weight shift the center of gravity (CG) location by one-tenth of an inch to influence left or right shot shape approximately 10 yards (20 yards of correction between Draw and Fade settings). 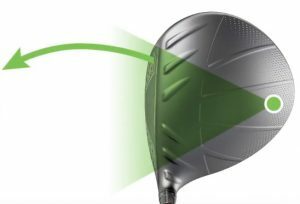 By positioning the weight on the extreme boundary of the clubhead, the moment of inertia increases compared to the original G400 driver – ensuring golfers enjoy the added ball speed and forgiveness required to hit their tee shots longer and straighter. A new “creased crown” design combines with patented Dragonfly Technology to create an ultra-thin crown structure, which saves weight for optimizing CG location and increases forgiveness. Together with more aggressive and efficient Turbulator technology, the 455cc head’s crown provides a clean, powerful and faster look at address while making alignment nearly effortless. The new lightweight and aerodynamic adjustable hosel expands from five to eight settings, offering five loft-only adjustments (0, +1⁰, +1.5⁰, -1⁰, -1.5⁰) and three loft/lie combinations that provide up to a 3 degree flatter lie angle than standard. Continuing Ping’s commitment to optimizing the entire club system, Ping engineers developed the next generation of the Alta CB (counter balanced) shaft as the proprietary option in the G410 driver. The higher-launching, lightweight Alta CB Red 55 is engineered with an 8-gram counterweight in the grip end of the shaft, shifting CG higher and allowing for more head weight to increase energy transfer and momentum. The result is more ball speed and greater forgiveness. 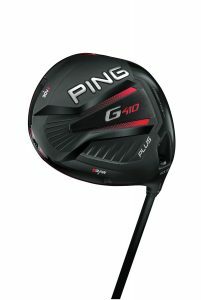 Demo and purchase the new Ping G410 Plus driver at GOLFTEC! 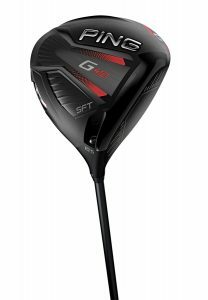 The G410 SFT (Straight Flight Technology) model is engineered with a fixed weight positioned on the clubhead’s extreme perimeter and a 50 percent more heel-side CG location than its predecessor to ensure straighter ball flight. 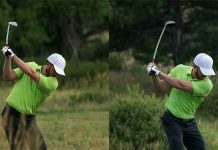 A lighter swing weight (D1) further influences direction by helping square the face at impact. Continuing Ping’s commitment to optimizing the entire club system, Ping engineers developed the next generation of the Alta CB (counter balanced) shaft as the proprietary option in the G410 driver. The higher-launching, lightweight Alta CB Red 55 is engineered with an 8-gram counterweight in the grip end of the shaft, shifting CG higher and allowing for more head weight to increase energy transfer and momentum – resulting in more ball speed and greater forgiveness. 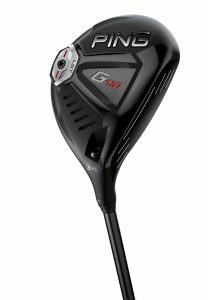 Demo and purchase the new Ping G410 SFT driver at GOLFTEC! Demo and purchase the new Ping G410 fairway woods at GOLFTEC! 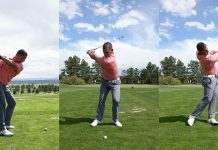 More heel-side weighting and a lighter swing weight help square the face to create right-to-left shot bend (RH golfers). The heads are slightly larger to drive the MOI higher, and lofts are 1.5 degrees higher to produce easier launch. Demo and purchase the new Ping G410 SFT fairway woods at GOLFTEC! A slightly smaller head has CG aligned to launch shots higher with less spin, resulting in longer shots that get airborne easily with a steeper landing angle to hold greens. Demo and purchase the new Ping G410 LST fairway woods at GOLFTEC! Awesome driver, I currently own “G” driver! Got a G 400 Max would love to try the 410 tho. 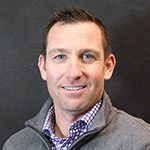 I would love to switch to Ping from Callaway. Does it really offer that much advantage over the G and G400 for 400-500 buckaroos? ?